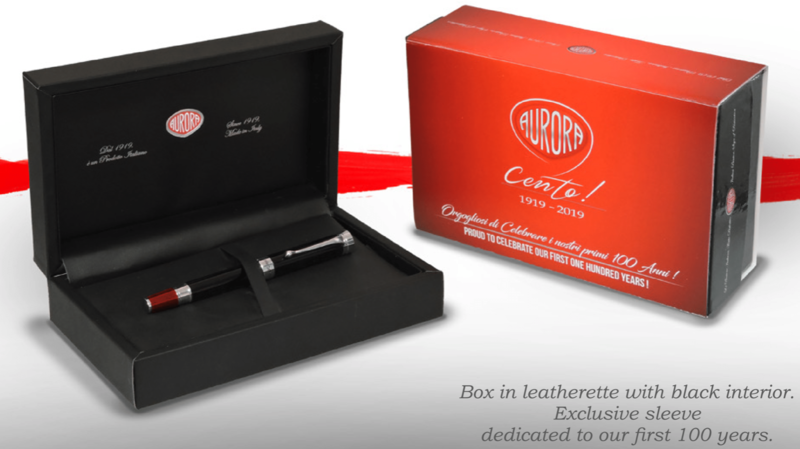 Every pen will be packed in an elegant box in black leatherette with black interior dressed by a special commemorative red sleeve with the new logo Aurora Cento!realized in cooperation with Italdesign – Giugiaro. Available in EF, F, M, B or Italic 14k nib. 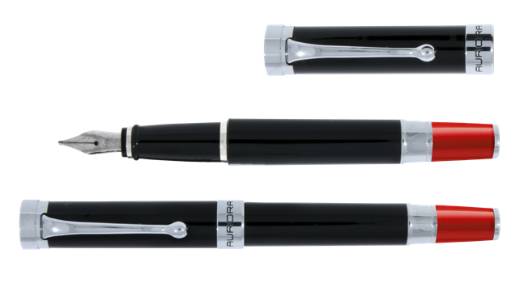 This pen is cartridge or converter fill.